One of the world’s most valuable brands and one of the most iconic companies of all time, Nintendo has carved out a special place in the hearts of millions of gamers across the globe. It is tough to find an analogue for Nintendo even within its own industry – the company is that foundational to what we understand as home console games today. 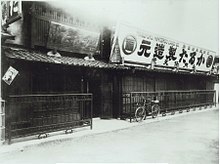 Beginning life back in September 1889 as a humble card and game company, the Kyoto-based Nintendo was infused with heavy doses of Japanese culture from the very beginning. Born in the ancient capital of Japan, Nintendo in many ways reflects the classical Japanese sentiments many have come to associate with that country’s way of doing business and producing goods: Everything is considered, artisanal, intricate, and exquisite. Nintendo’s attention to quality is something that has always been with the company and its willingness to make use of cheap formats to spread mass ideas about gaming is indelibly in its DNA. Though it started out as the purveyor of parlor games Nintendo has since grown into a video games giant and a cultural output center that rivals Disney for its iconic pantheon. Nintendo’s story as a video games company begins in earnest in 1974 with legendary designer Gunpei Yokoi and the Color-TV Game, a console that came with a game pre-loaded on it. Undertaken after partnering with Magnavox to bring their Odyssey to the Japanese market, Nintendo’s Color-TV Game was not only their first video game device but also the meeting of two of the greatest minds in Nintendo’s game design history: the aforementioned Gunpei Yokoi (father of the Game Boy and Metroid, among others) and legendary game designer Shigeru Miyamoto, also known as the father of Mario and Zelda. 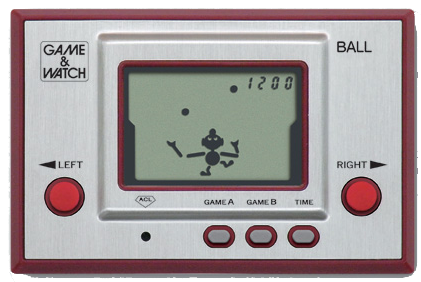 Inspired by a child playing with an LCD calculator on a train, Gunpei Yokoi then introduced the Game & Watch series of portable consoles in 1979. This represents Nintendo’s first major push into portables, a segment that would become the company’s bread and butter later. 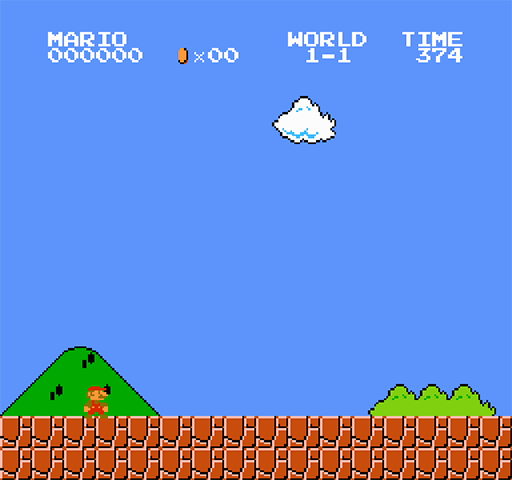 Though the company had not yet come up with its potent combination of iconic characters and stellar hardware, the nascent beginnings of the company’s own unique strategy for the video game’s market began in this era. Using off-the-shelf technology that was cheap and easily produced, Nintendo’s philosophy behind the design and execution of the Game & Watch series provided much of the guidance underscoring their home consoles, even up to today’s Switch. Of course, the true story of Nintendo in the video games industry doesn’t really kick off until the advent of the Nintendo Famicom, or Family Computer, in 1983. Known in the West as the NES or Nintendo Entertainment System, the Famicom introduced the world to the platforming Super Mario Bros. games, Zelda, Metroid, Kid Icarus, Dragon Quest, Final Fantasy, and more. Emerging during a downturn in the global video game market which later became a crash in the United States, Nintendo forged ahead with a bold new approach to the industry that combined the know-how of a savvy tech manufacturer with the creative output of a Hollywood powerhouse. Previous PostArcade Hall of Fame: Burger Time Next PostDonkey Kong Arcade - Think you can beat it?